Ana García Armada received the Ph.D. degree in electrical engineering from the Polytechnical University of Madrid in February 1998. She is currently Professor at University Carlos III of Madrid, Spain, where she has occupied a variety of management positions (Head of Signal Theory and Communications Department, Vice-dean of Electrical Engineering, Deputy Vice-Chancellor of International Relations, among others). She is leading the Communications Research Group at this university. 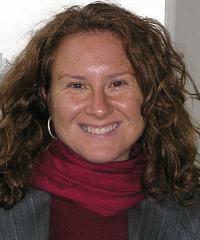 She has been visiting scholar at Stanford University, Bell Labs and University of Southampton. She has participated (and coordinated most of them) in more than 30 national and 10 international research projects as well as 20 contracts with the industry, all of them related to wireless communications. She is the co-author of eight book chapters on wireless communications and signal processing. She has published around 150 papers in international journals and conference proceedings and she holds four patents. She has contributed to international standards organizations, such as ITU and ETSI, is member of the expert group of the European 5G PPP and member of the advisory committee 5JAC of the ESA as expert appointed by Spain on 5G. She has served on the editorial boards of Physical Communication (2008-2017), IET Communications (2014-2017). She serves on the editorial board of IEEE Communications Letters since 2016 (Editor until Feb 2019, Senior Editor from Mar 2019, Exemplary Editor Award 2017 and 2018) and IEEE Transactions on Communications since 2019. She has served on the TPC of more than 40 conferences and she has been/is part of the organizing committee of IEEE Globecom 2019 and 2021 (General Chair), IEEE Vehicular Technology Conference (VTC) Fall 2018, IEEE Vehicular Technology Conference (VTC) Spring 2018 and 2019, IEEE 5G Summit 2017, International Symposium on Ubiquitous Networking (UNET) 2017, IEEE Third Women´s Workshop on Communications and Signal Processing 2016, European Conference on Networks and Communications (EuCNC) 2015, and the International Conference on Mobile Lightweight Wireless Systems (Mobilight) 2010. She was the Newsletter Editor of the IEEE ComSoc Signal Processing and Consumer Electronics Committee (s2017-2018) and is now the Secretary of this committee (since 2019). She was Secretary of the IEEE ComSoc Women in Communications Engineering Standing Committee (2016-2017) and is now the Chair of this committee (since 2018). She has received the Young Researchers Excellence Award, the Award to Outstanding achievement in research, teaching and management and the Award to Best Practices in Teaching, all from University Carlos III of Madrid, She was awarded the third place Bell Labs Prize 2014 for shaping the future of information and communications technology. Her main interests are multi-carrier and multi-antenna techniques and signal processing applied to wireless communications.